Our Bulletins are in PDF format. Click on the link above to open or right click and ‘Save As’ to save toy our device. 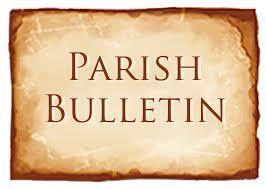 If you would like a copy of a previous bulletin, please contact our Parish Office.